Smile Makeover- Naperville, IL | Comfort Care Family Dental P.C. We are proud to offer dental care services in Naperville and the surrounding areas. We offer patients what they are looking for in their time of need. The Smile Makeover is a new dental procedure that is proving to be a fantastic method for revitalizing your teeth and mouth. You can enjoy life again and get a beautiful smile once more with the Smile Makeover. In most cases, a Smile Mak over uses veneers, teeth whitening and maybe the occasional implant to create the perfect smile. In some more severe cases, more involved procedures may need to be used to correct problems and generate the desired results. Here at Comfort Care Family Dental in Naperville, Illnois, this the Smile Makeover includes anything that you and the dental professional team find necessary in order to give you bright, beautiful, and healthy teeth. As is the case with any dental procedure there is no one size fits all approach. Every mouth is different, every patient’s needs are unique, and the treatment plan for your Smile Makeover must be customized for your particular goals. Comfort Care Family Dental offers a fully customized Smile Makeover plan to help you get the perfect beautiful smile you have always wanted. We use treatments and procedures that can help treat any dental issues you may have, and to reverse damage that your teeth have endured over the years. We examine your teeth, go over your medical history, and all the other factors that area necessary to get a full understanding of your dental and overall health, as well as what your short term and long term dental needs are. Call us today to get your first appointment set up and get ready to smile again with a Smile Makeover! For anyone serious about dental care services in Naperville, our office is open and we are taking new patients. You do not have to go at it alone and struggle with dental issues and concerns. If you are not keeping up with your oral health and care at home and do not keep regular dental cleaning and checkup appointments, you cannot maintain good dental health. You will have receding gums, the spaces between your teeth can expand, your teeth can shift, and the bone and tissue supporting your teeth can be damaged- this can all lead to tooth loss. The good news is you can take charge and be in control of your dental health care and you can be the one staying on top of your oral health and tooth care. Along with regular dental checkups, proper brushing and flossing are the most effective ways to prevent plaque buildup and to promote healthy teeth and gums. To find out how to get a smile makeover done right based on your unique needs and concerns, give us a call today! Spend a minimum of two minutes each time you are brushing your teeth and do this at least twice a day, one of those being right before bed. Use floss at least once a day to get between the teeth and ensure trapped food particles do not have a chance to damage the enamel or gums. Buy the best dental cleaning tools that you can, looking for ADA approved toothbrushes, mouthwashes, toothpaste and other dental care supplies. The goal of regular home care is to combat the buildup of plaque in and around your teeth and gums, fight bad breath, tooth decay, and gum disease. 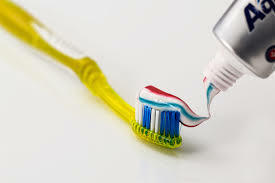 Poor oral hygiene leads to the accumulation of plaque and tartar around your teeth and gum line. When this build up becomes severe it will cause the gums to become red and inflamed- making them prone to sensitivity and bleeding. It will also cause tooth decay and gum disease. Keeping your oral health a top priority can be a challenge at times and many people do not think much about their teeth until something goes wrong. However, your overall health and wellness are closely tied to your dental health, so it is important that you keep your dental appointments as scheduled and you keep up with good care practices at home each and every day. If you need cosmetic dental care services in the Naperville and surrounding areas, then give us a call. We will show you why we are leaders in the dental industry- smile makeovers done right the first time, every time!